Gerry Read's "Patterns" on sale NOW. Buy it here: http://bit.ly/9bzjG6 or any of the usual stores. Thanks to the DJs+blogs for supporting. New Dark Arx podcast, dubs from Asusu, Kowton and Gerry Read. Good words from the pace-setters at Boomkat. "Excellent dubtechno and garage crossover tracks from Dark Arx. 'Blood Vein' manages to keep the atmosphere dread and melancholy but balanced with light skipping percussion, whereas 'Streak rests on bulbous subs under percolating 2-step syncopations and 'Argent Sable' lays low within droning bass and slow crackling atmospherics. Fans of Andy Stott, Martyn or 2562 should pay this some attention." 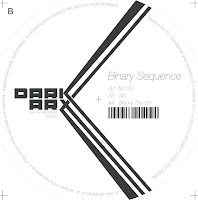 Binary Sequence 66/31 [DKX001] now available. Now available on vinyl and digital download from all good record stores. 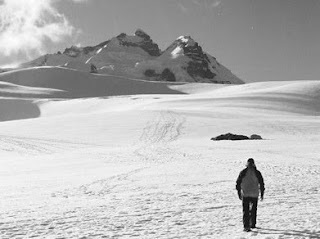 A mix of leading edge electronica to accompany the release of Binary Sequence's Below The Ice EP on Dark Arx Recordings. Release date: November 2009. Support the artists: tracks can be bought from www.boomkat.com. Back from Metropolis Studios where Stu Hawkes applied science + magic to Binary Sequence's first outing "Below The Ice". You haven't heard of Stu Hawkes. But his credits tell the story...Panagaea, Roni Size, Thom Yorke, Metalheadz, Gilles Peterson, Breakage, Scuba and many more.